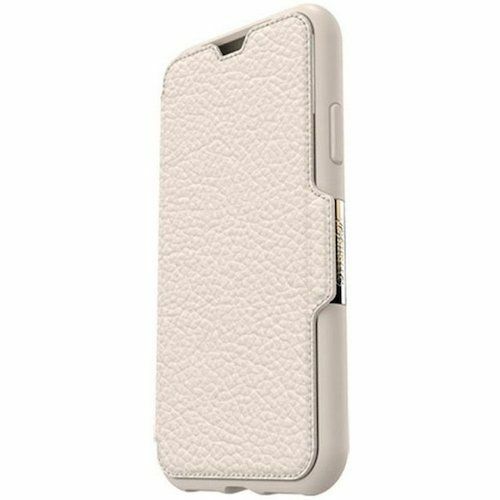 Strada Series is the only leather smartphone case with trusted OtterBox protection. Featuring a book-style cover, Strada Series closes securely around your smartphone, and opens to reveal a convenient slot for cash or a card. 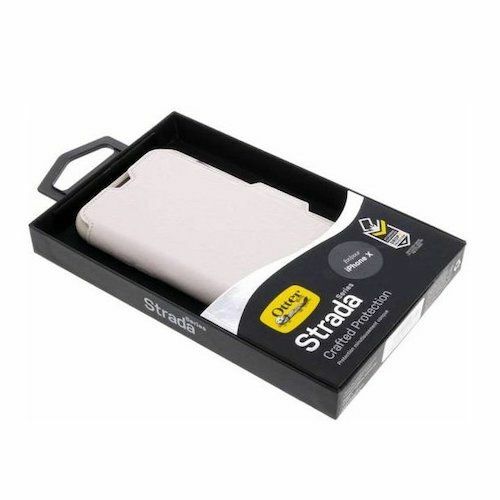 Plus, Strada Series cradles your smartphone to help protect it from drops and shocks. 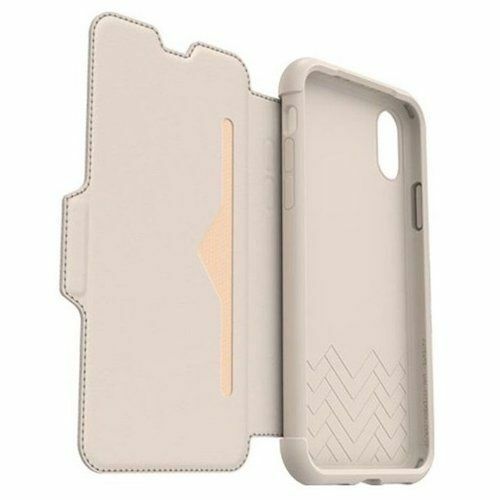 Blending handcrafted style with premium protection, Strada Series keeps you organized, stylish and protected. 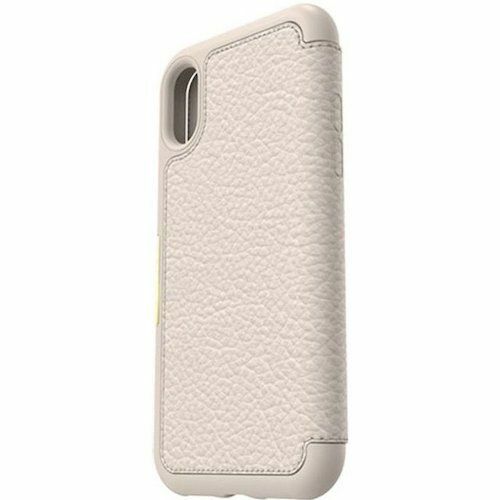 Crafted Protection for Apple iPhone X by OtterBox: Strada Series Folio Case is a testament to Style and a statement in Protection. 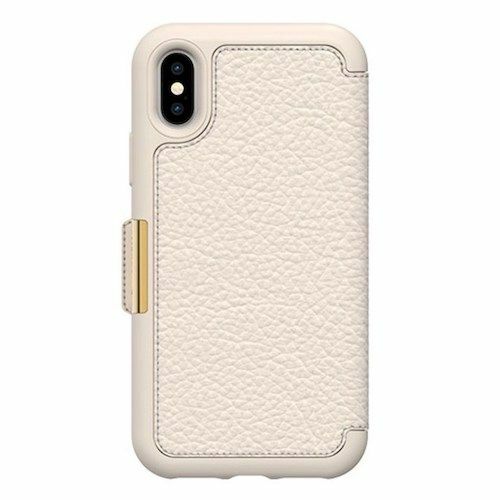 Protection: Crafted to deliver maximum drop, abrasion, and touchscreen protection for your iPhone X, in a stylish, premium leather folio case. Slim Profile: Pocket-friendly profile slips in and out of pockets with ease, while offering easy installation and free access to all the features of your iPhone X.
Cardholder: Vertical slot inside the book-style folio cover secures card or cash in place, providing convenient access for your mobile life. Style: Premium leather finish with brushed steel accents and a hidden magnetic latch for both open and closed positions.